You removed the wrong 2 Allen screws. 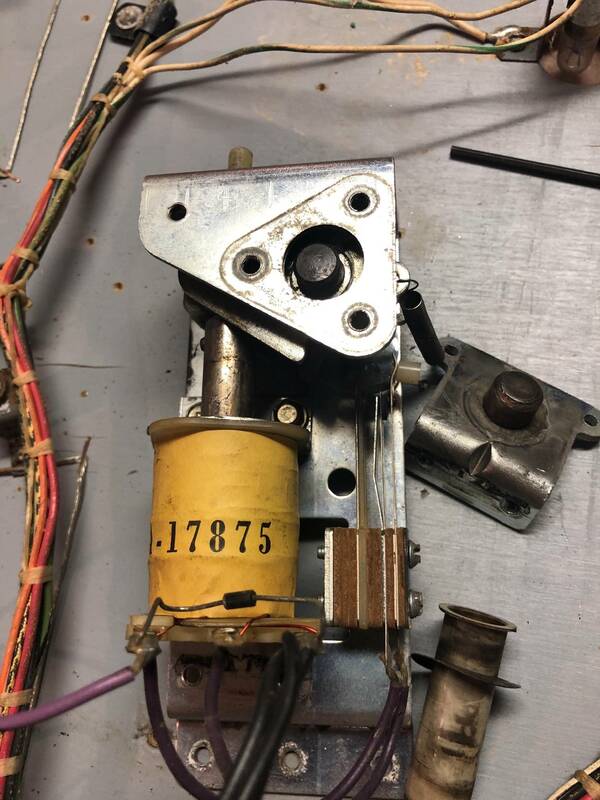 You see the part that the spring is connected to, it moves with the flipper. Look inside that piece for the 2 Allen screws. is that black post supposed to slide directly through it went about a half inch And stopped. It will get stuck from burrs on the shaft from the allen screws, so twist the flipper in a circle while pulling upward and it will slowly pull thru the metal paw and plastic bushing. Be careful not to hit yourself when it comes loose.